The firefighter medical-fitness assessment is a comprehensive evaluation designed to measure firefighters’ functional capacity to perform job-related tasks, while uncovering the hidden health risks that may affect them. 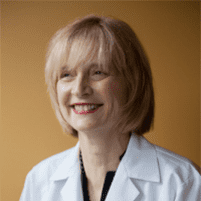 At POTENTRx in Seattle, Dr. Sarah M. Speck and Dr. Dan G. Tripps specialize in providing local firefighters with the assessments they need to achieve optimal health and peak physical performance. Why is the assessment so important? Fire departments across the United States rely on standards set by the National Fire Protection Association to safeguard the health and welfare of firefighters and the communities they serve. 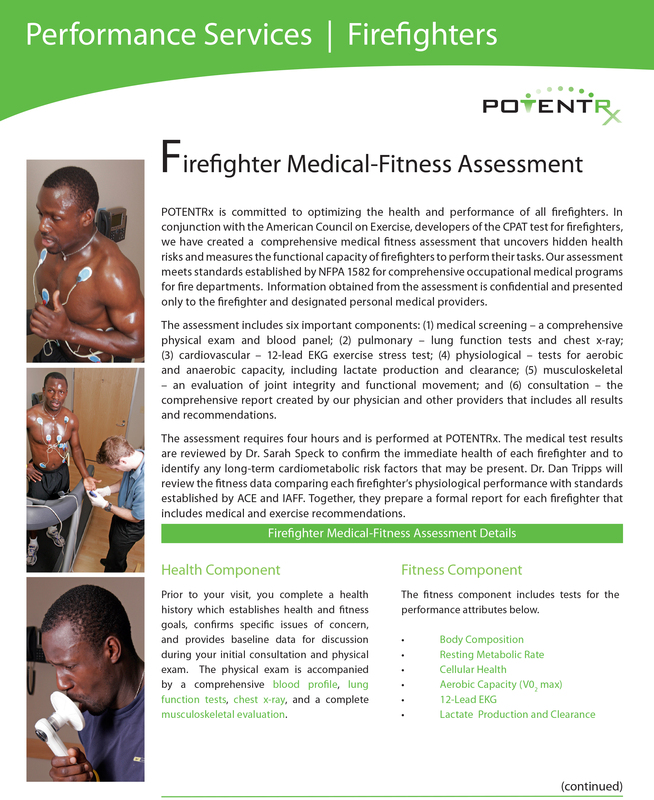 POTENTRx partnered with the American Council on Exercise to develop a firefighter medical-fitness assessment that meets standards set by NFPA 1582 for comprehensive occupational medical programs for fire departments. These standards help ensure that firefighters are able to perform on the job at optimal levels and with a low risk of injury, illness, or premature death. Because the hazards and long-term risks associated with firefighting are serious — firefighters have an increased risk of developing cardiovascular disease as well as a variety of other cancers — it’s important for these emergency responders to undergo routine screenings. Firefighters who are active participants in their own fitness and health are more likely to perform better and achieve a higher quality of life. The firefighter medical-fitness assessment takes place over the course of a single, 4-hour appointment. Prior to your appointment, you’ll need to fill out a complete health history questionnaire to provide basic information, highlight specific concerns, and establish preliminary health and fitness goals during the initial consultation. Various fitness and medical professionals will perform the tests, screenings, and evaluations that make up your assessment. Be sure to wear athletic shoes and comfortable clothes for the fitness portion of your evaluation. At the end of your appointment, Dr. Speck and Dr. Tipps will review your results, help you understand the finer points of the complete report, and provide specific medical, exercise, and lifestyle recommendations.